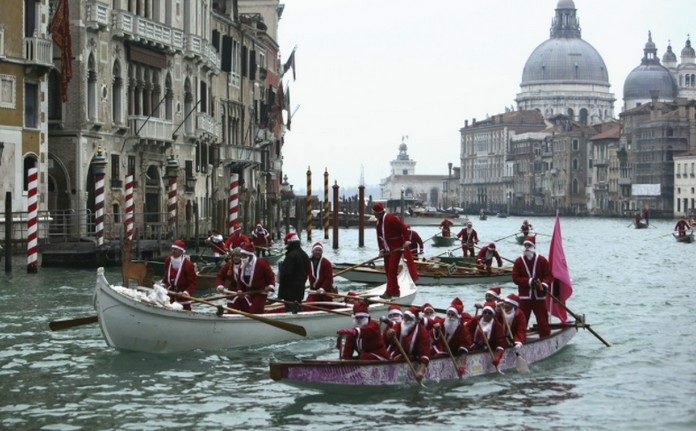 Venice in Christmas is a magical place. All the usual must-see spots are there, from the sumptuous Doge’s Palace to the colonnaded St Mark’s Square! ﻿ The city of Venice is bursting with centuries of history. Admire the mosaics and ancient bronze horses in St Mark’s Basilica, taking as long as you want to study the craftsmanship, skill and detail created centuries ago.